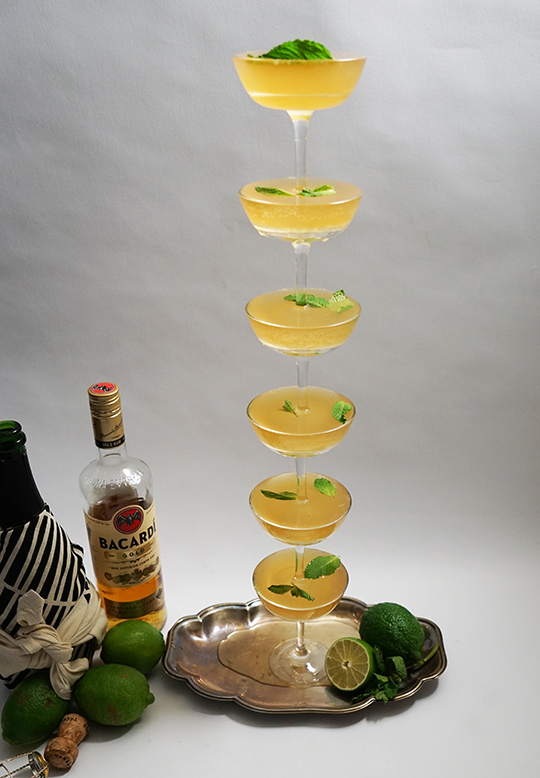 Party Tricks Part 3 - BACARDÍ Old Cuban Coupe Stack! 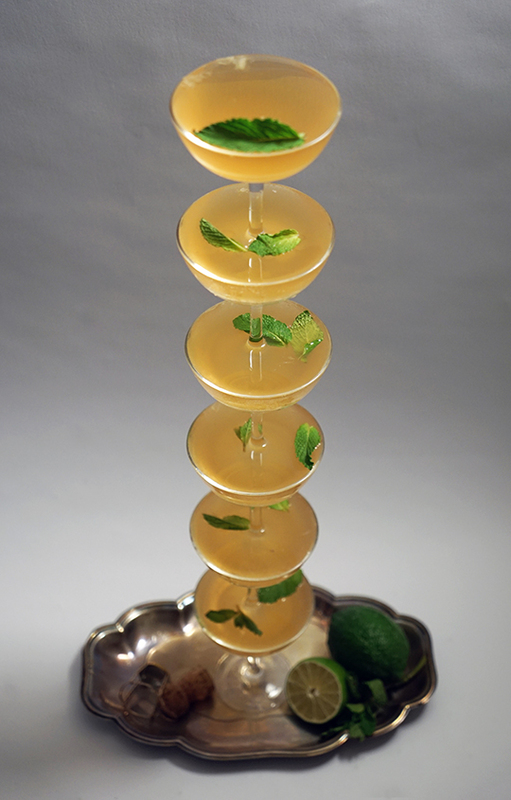 Ok, I know I've mentioned the Coupe Stack before, but this is the first time I've attempted to Coupe Stack a cocktail! Let's just say this is the first in a series called: Will it Coupe Stack? Today we are Coupe Stacking the BACARDÍ Old Cuban, a wonderfully festive cocktail created by owner Audrey Sanders (the Libation Goddess) when she was behind the stick at New York's Pegu Club (Note: Pegu Club is one of New York's loveliest bars, go there and imbibe gorgeously). 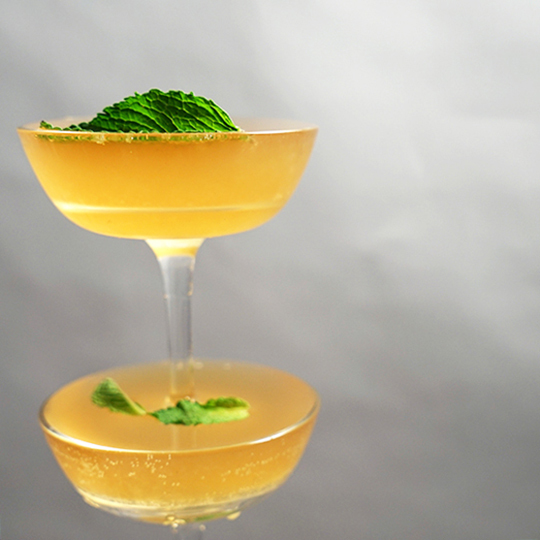 The cocktail is made with BACARDÍ Gold rum, fresh lime juice, simple syrup, champagne, and garnished with fresh mint. 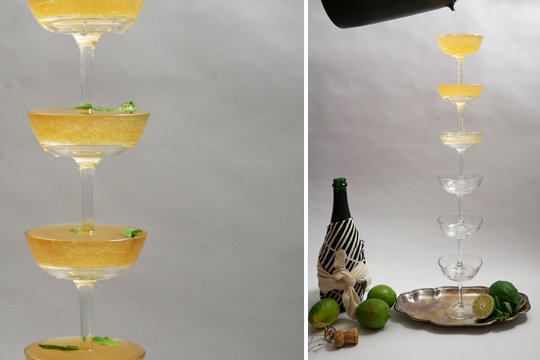 This cocktail is a hybrid of a mojito and a champagne cocktail, and truth be told, my preferred variation of a champagne cocktail! 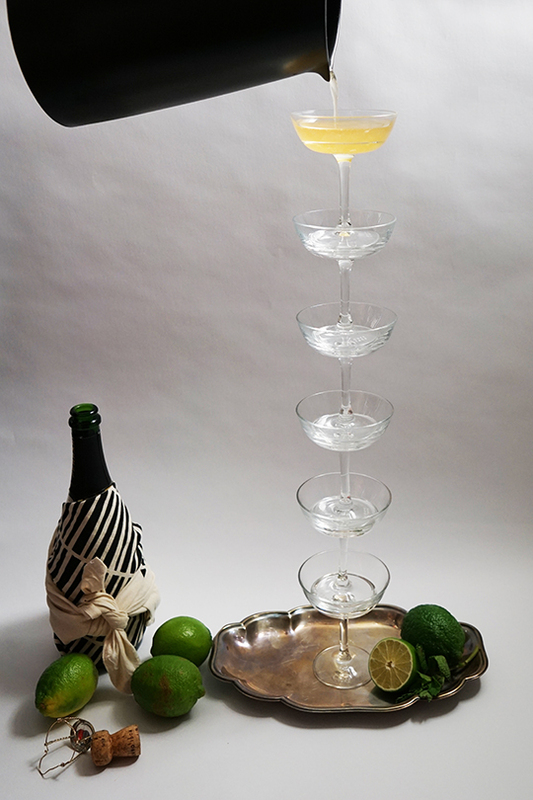 I've modified the original recipe to prepare 6 cocktails at once, because there are 6 glasses in the Coupe Stack. If you're a real die hard, you would muddle the mint and sugar, and shake with the rum, lime juice, and simple syrup before adding it to your pitcher. BUT I'm a busy woman (read, lazy) and I dumped all the ingredients into the pitcher sans muddling, and I'm pleased to report that the final product was delicious. I topped off the mixture with about 1/3 of a bottle of Champagne (12 oz to be exact). Garnish with a few sprigs of mint in each glass, et voilà! 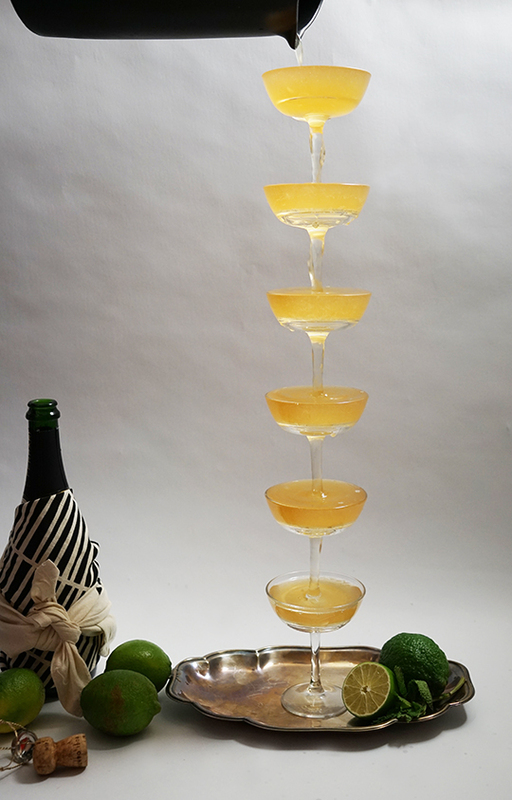 I love the idea of making a Coupe Stack cocktail before a dinner party, a festive way to kick off your party with class and flair. So will it Coupe Stack? Damn right it will coupe stack! In a cocktail tin, muddle mint and sugar, add ice, and shake half of the lime, simple syrup, and rum. Pour into a pitcher, and prepare the second batch. 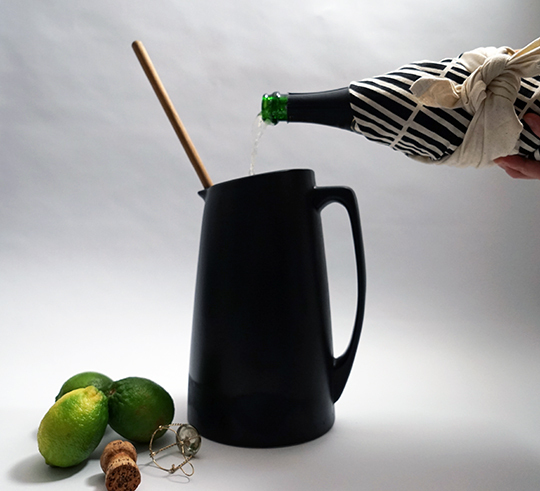 Add 12 oz of your favorite bottle of bubbles, and stir. Stack up your coupe stack, and carefully pour the cocktail from your pitcher into the top glass of the stack. Keep pouring until all of the glasses are filled. 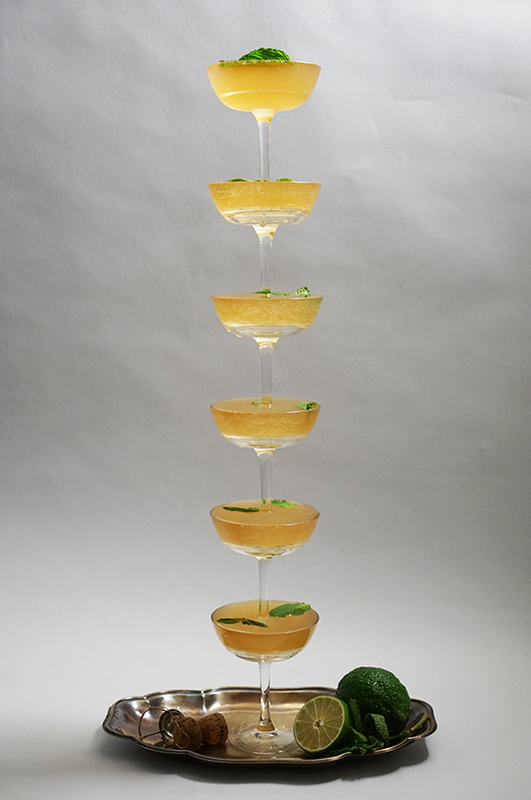 Garnish each glass with a few sprigs of mint, and enjoy!